In the latter part of his life, Thomas Tyldesley 1657-1715, the Diarist, appears to have spent much of his time at Myerscough Lodge or Fox Hall. It may be that his eldest son, Edward Tyldesley had been given the use of Holcroft Hall. 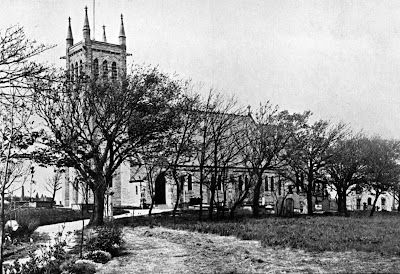 The closest church to Fox Hall was the Parish Church of All Saints in Bispham. This fell into disrepair, was demolished in 1883 and replaced. However the registers survive and were published in (FN1). They contain two entries of interest. Winifrid d. of Tho: Tildsley of Blackpoole within Layton cu Warbrecke was borne the 8th & Baptised as they say by a Roman Prist the—11 October 1701. For the burial, two dates are given. The first is the date of the burial and the second is the date of the affidavit required under the Burial in Woollen Acts 1666-80—legislation which provided that the dead other than plague victims should be buried in pure English wool shrouds. No indication is given of the age of Charles Tyldesley at death. It seems likely that he was young and therefore a son of Agatha Winckley, but from this entry alone it is impossible to be certain. It is Agatha Tyldesley who married John Bleasdell and whose descendants can now be found in Canada and the USA. With the information from the Tyldesley Diary 1712-1714 and the registers from Garstang, Newchurch and Bispham it is possible to start to put together a list of the children of Thomas Tyldesley 1657-1715. First, however, there is a question to be addressed regarding James Tyldesley. 1. Lancashire Parish Register Society, Vol 33, 1908.